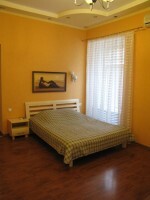 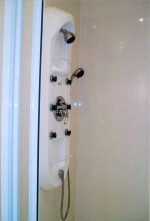 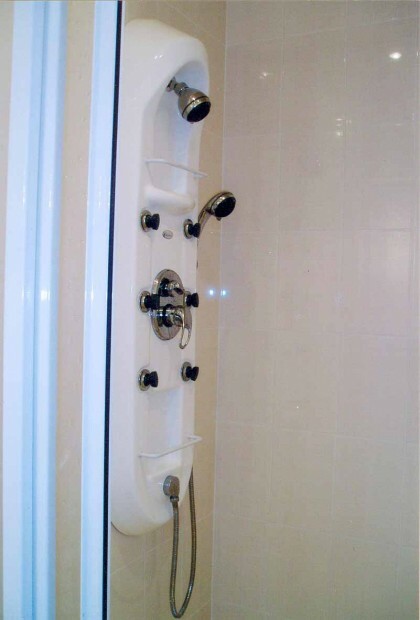 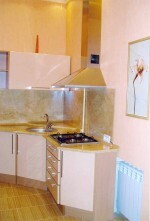 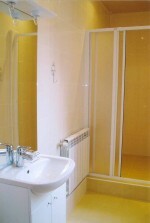 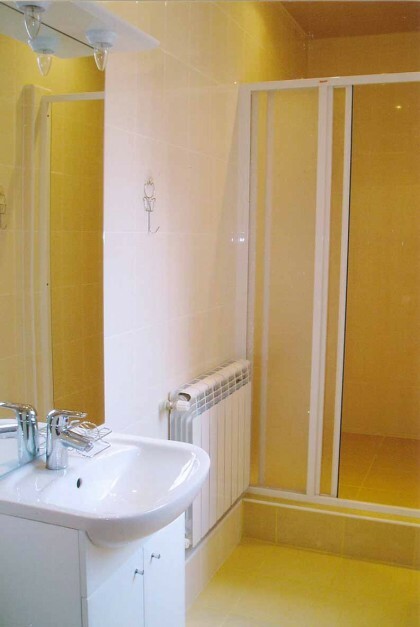 Studio apartment for short term rent near the Opera House in Odessa Ukraine. 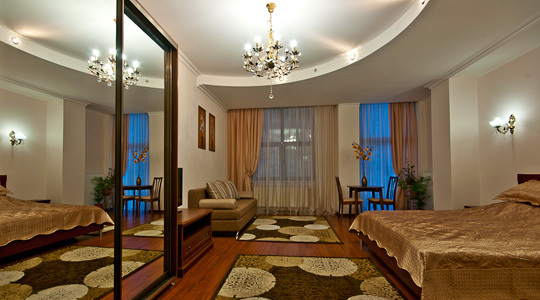 Spacious, nicely furnished stidio apartment, with perfect location just behind the Opera House, close to many Odessa attractions. 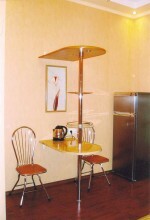 Cozy, apartment(45 sq.m.) 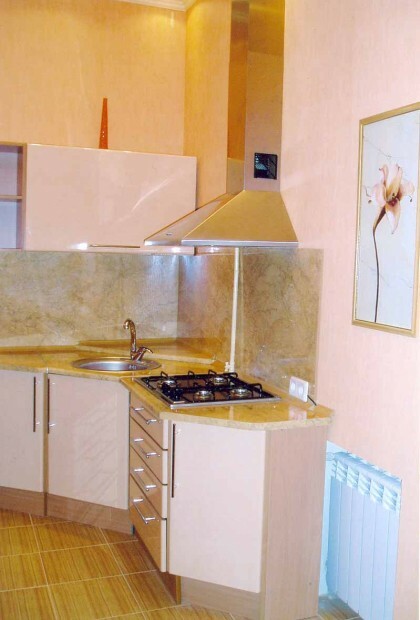 in central historical part of Odessa on Chaikovskiy lane just behind The Opera House within a couple of minutes walk to Potemkin Steps and Sea Port. 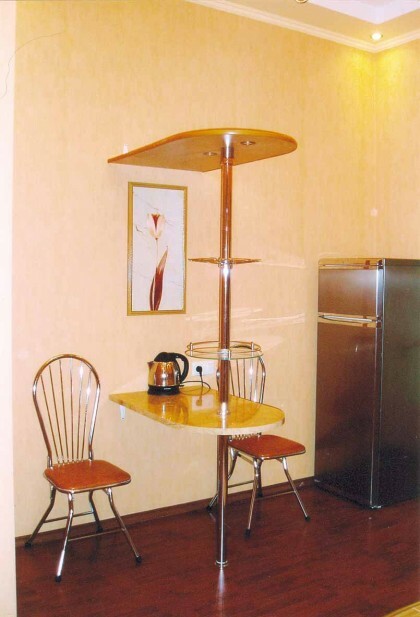 There is a king-size bed and fold out coach, arm chairs, kitchenette with cooking ware stuff, electric kettle, fridge, table, chairs, air conditioner, cable TV, wi fi Internet, telephone for local calls, shower cabin with hydro massage, sink, toilet.